When you live in a city, it’s easy to get stuck in your neighborhood. 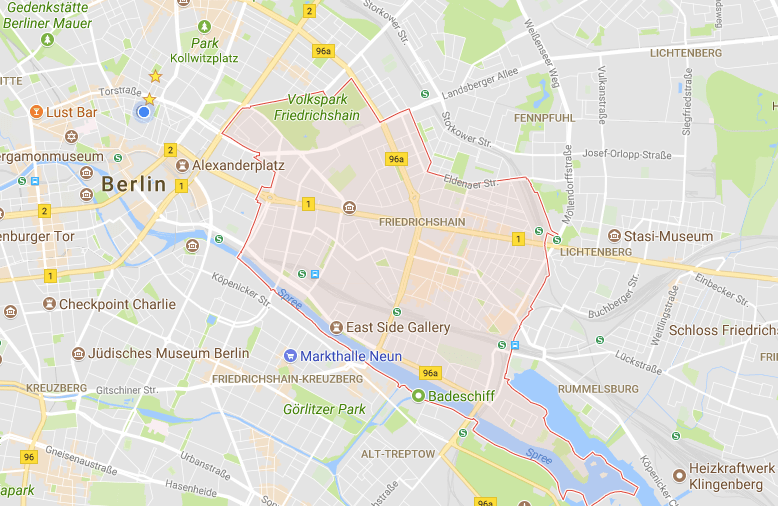 Especially if it’s a really lively, interesting, great neighborhood like ours here in Berlin. 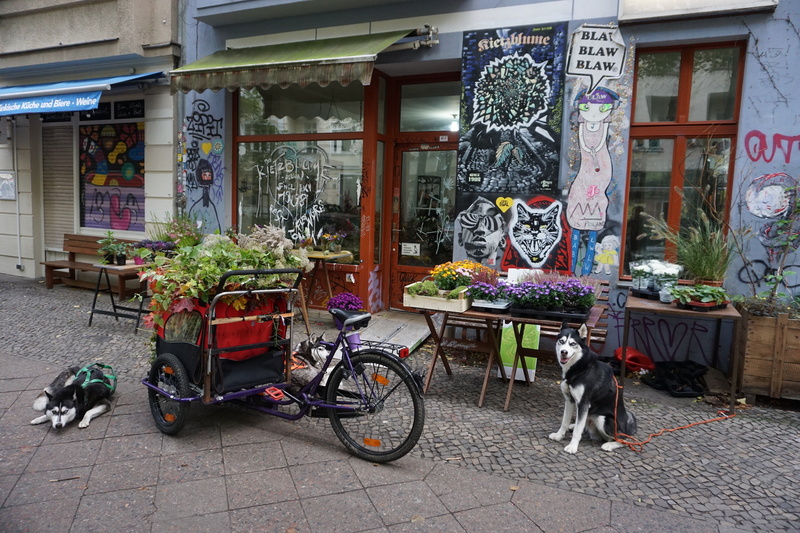 Mitte is full of adorable, cozy restaurants, inviting bars, tempting boutique shops, and intriguing courtyards. Why would we ever leave? 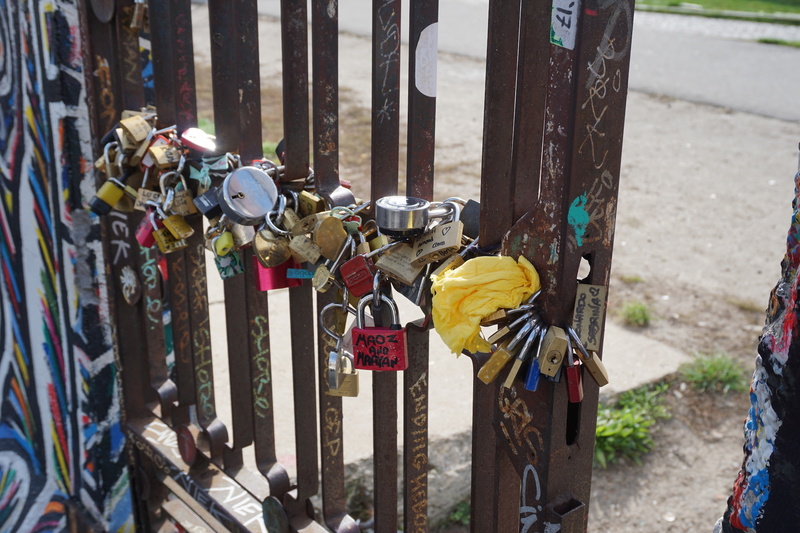 Because Berlin is full of other such areas that beckon and necessitate at least a visit or two. 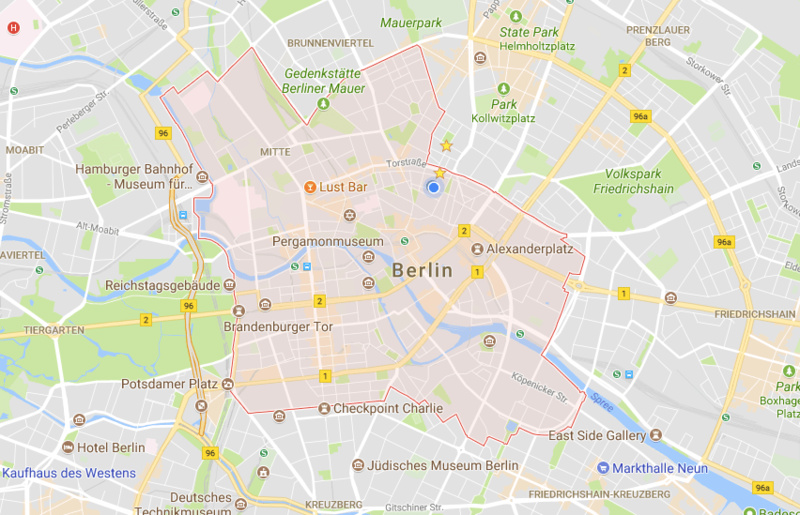 We wanted to show Joe’s parents a bit more of the city, so one morning we set off towards east Berlin. Just to clarify: we’re staying in the east half of the city, but some parts are farther east than others. 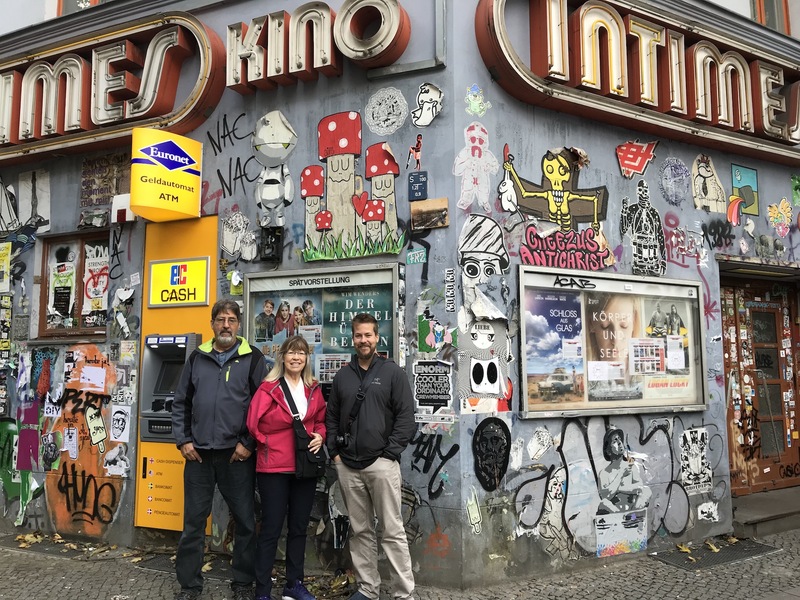 For this little adventure, we hopped on the U-bahn and headed over to the lovely and bustling Friedrichshain neighborhood, about 20 minutes east of the city center. 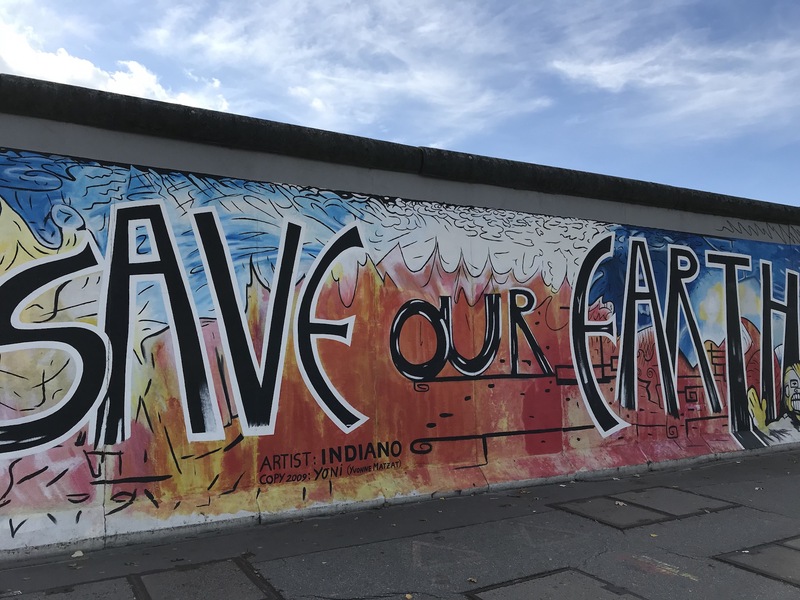 Like many cities in Europe (and throughout the world), Berlin’s buildings are decorated with their fair share of street art. We’d read about one particular building, however, that was covered in more layers than most. Naturally, we sought it out. And we were not disappointed. 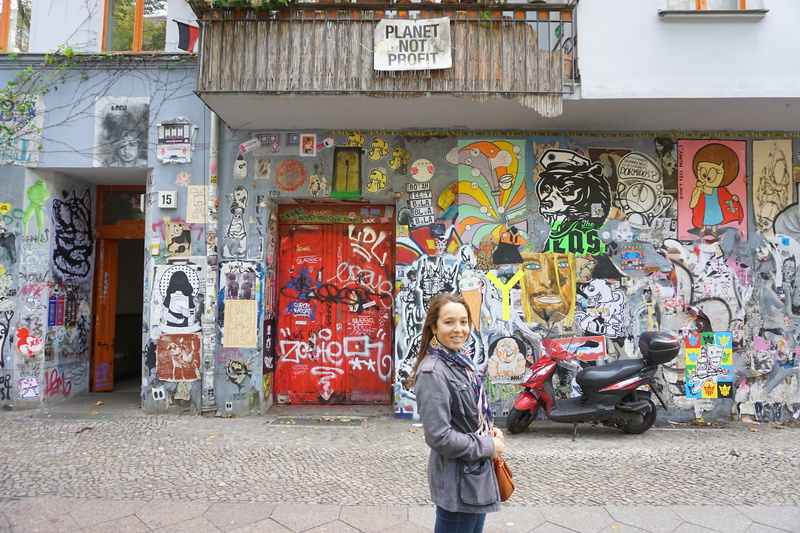 The graffiti and art wasn’t especially big, grand, or impressive in the way I expected. It was more nuanced, more thoughtful – or thought-provoking – and more interesting. 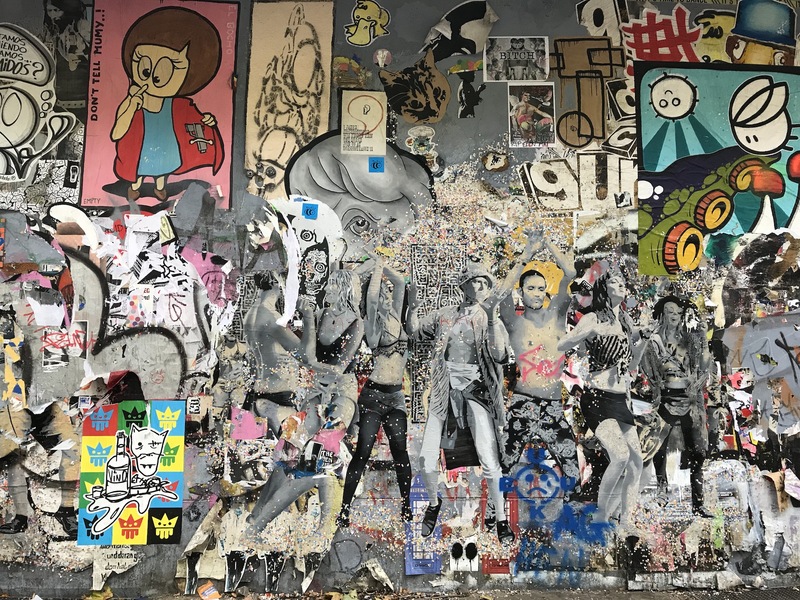 In certain places, the paint, paper, and other media peeled back, providing a glimpse of the many layers of expression hiding beneath. It, and the neighborhood as a whole, was stunning. 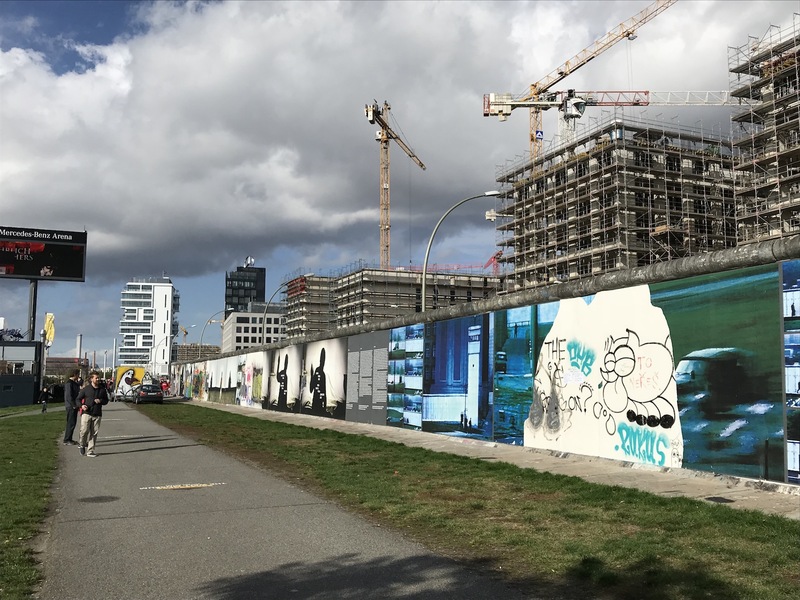 One of the more famous sections of the Berlin Wall lies just along the river Spree (pronounced “Shpray”) between the Friedrichshain and Kreuzburg neighborhoods. 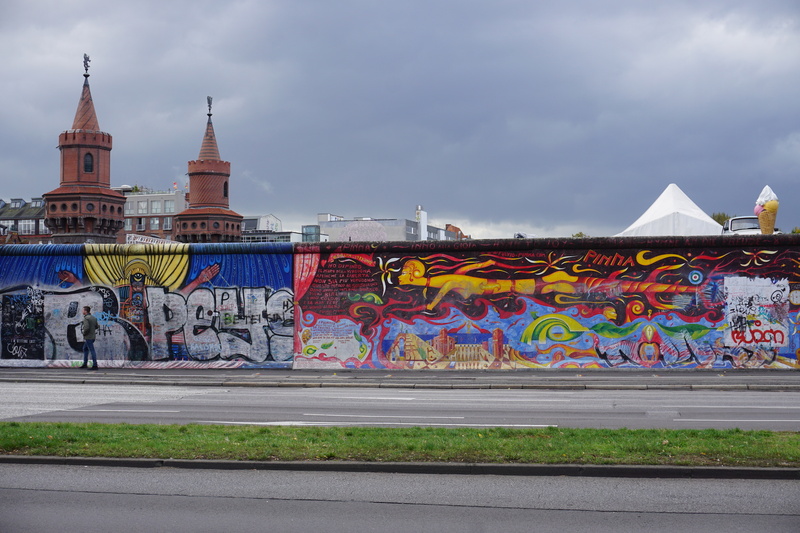 The Wall was built in 1961 and fell in 1989. 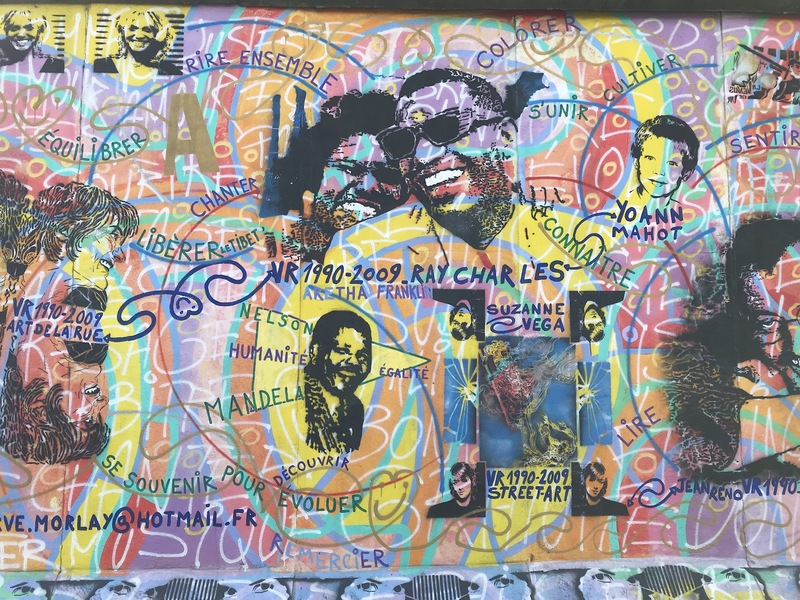 It has been painted over with large, colorful, often politically-charged murals that have turned something so awful into something full of remembrance and stories. 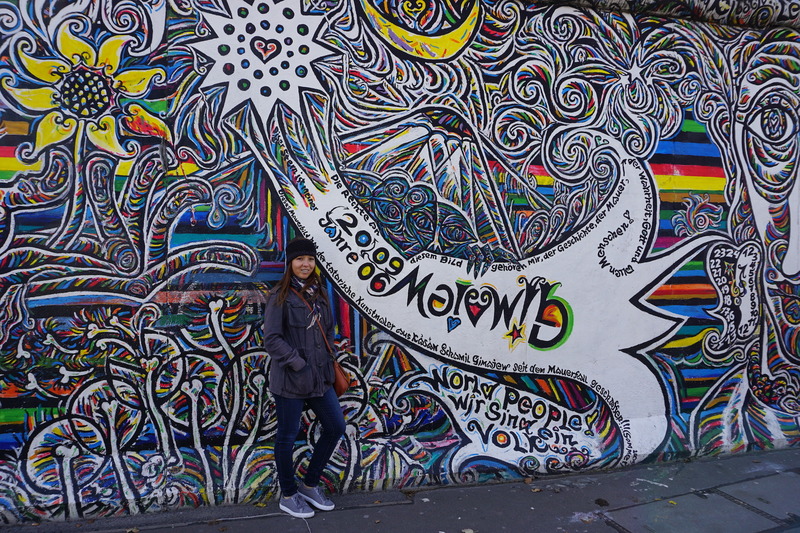 The East Side Gallery, as it’s been named, stretches for over 1,300 meters and celebrates the fall of the wall. It’s hard to do it justice with words. Images are better. As we walked along its length and tried to picture the guard towers, barbed wire, mine fields, and other instruments of extreme separation, my mind rebelled. How could such a riot of color represent such divisiveness? Only 30 years ago, it kept families, friends, and loved ones apart. Now it brings people from all over the city, country, and world together. 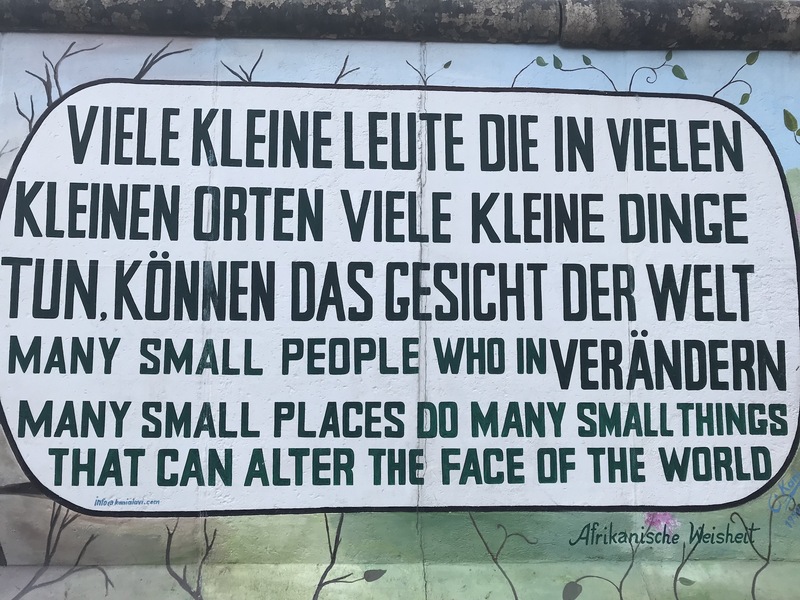 Ah, the different lives of those walls. 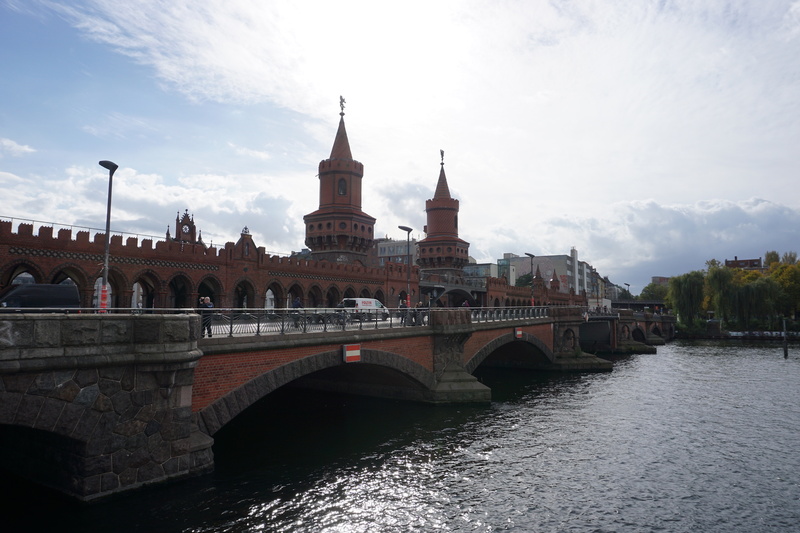 The Oberbaumbrücke bridge was on Joe’s Berlin bucket list from the beginning, and it worked perfectly into our exploratory itinerary for the day. 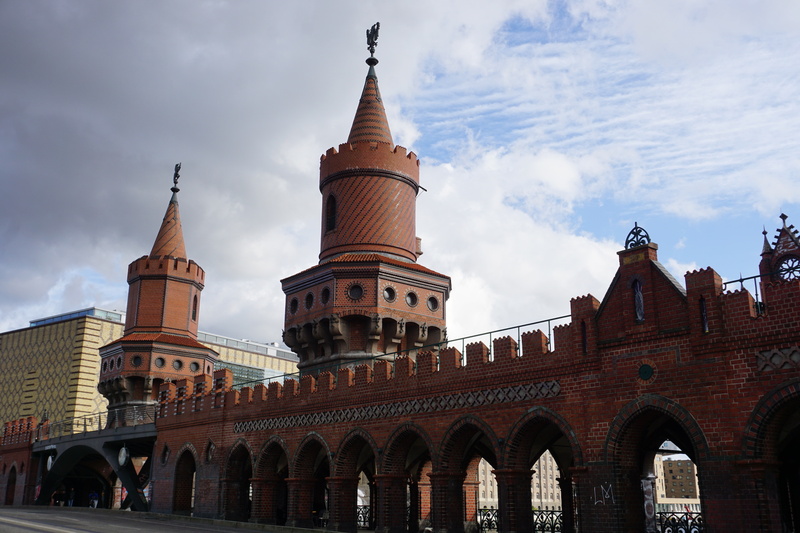 Its soaring turrets, elegant brick design, and gorgeous views make it one of the more photogenic bridges we’ve seen. Although, as a bridge, it was little more than a transitional mechanism for getting us from A to B, we took the time to stop and appreciate its beauty. A group of photographers stalked its length, going for the perfect shot through its archways and pillars. Yellow trams cruised noisily across, seemingly unaffected by its quiet grandeur. And we enjoyed every angle as the sun broke through large, blurry clouds, trying to make our photos more difficult. 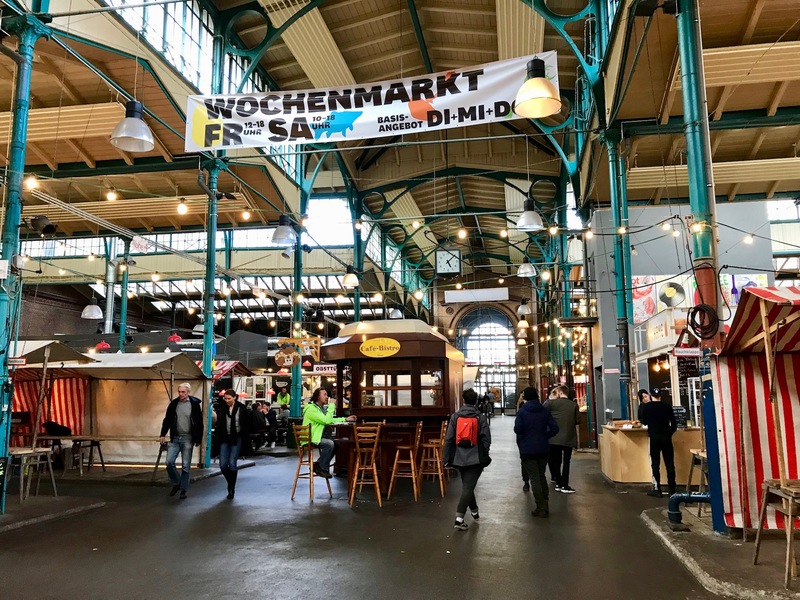 Our last official stop of the day brought us to the Markthalle Neun in Kreuzburg. 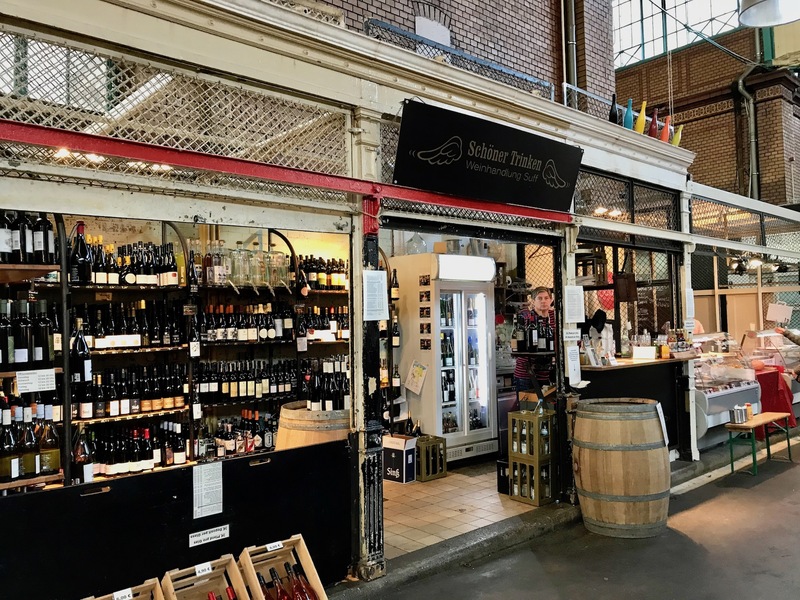 This old warehouse-turned-chic-foodie-paradise hosts a number of food stalls, wine bars, and cheese shops along with long communal tables and a grocery store. After surveying the multitude of offerings (BBQ, Turkish food, sushi, pizza, pasta, and more), we settled on the BBQ counter. 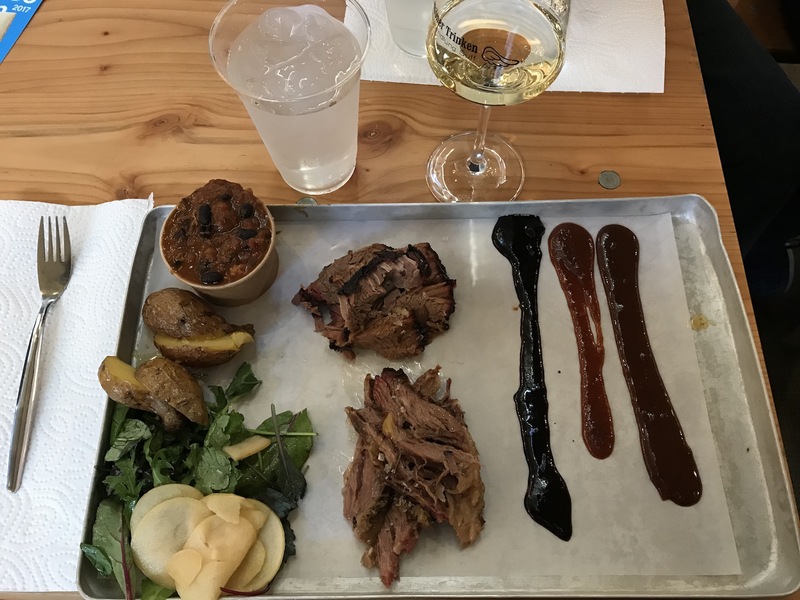 The food coming out, arranged artfully on burnished aluminum trays lined with butcher paper, looked too scrumptious to pass up. But first, I wandered over to a small wine bar packed full of German varietals. After a helpful conversation with the bartender – and a couple samples – I settled on a complex, dry, and zingy German Riesling. I’m now spoiled for life. It was one of the best white wines I’ve ever enjoyed. 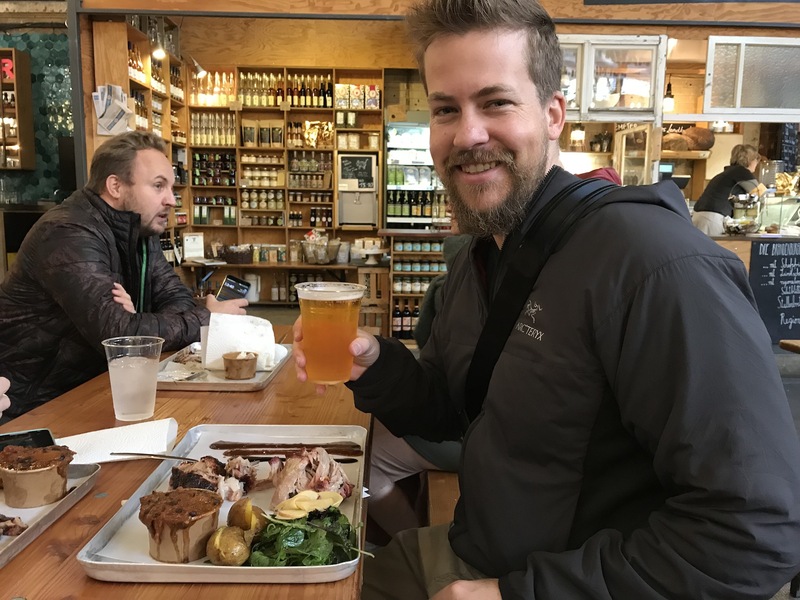 Joe naturally found a local craft beer he hadn’t yet tried. Win-win! Post-delicious meat plates, we dug into some creamy gelato before winding our way back to our wonderful little neighborhood. 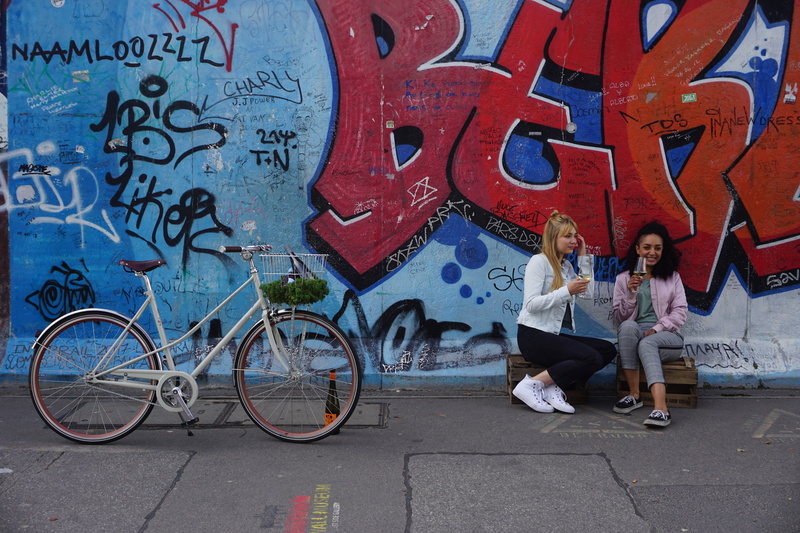 Just another surprise-filled, glorious day in Berlin.